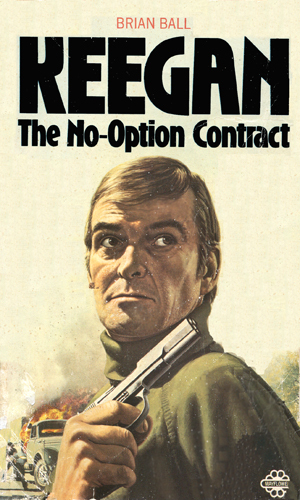 Terry Keegan is an agent with British Intelligence. At least he is at the end of the first of the two-book action series about the man. Before then he was a patsy that no one expected to survive more than a day and when he did, not only were the bad guys wanting him dead but so were the supposed good guys. For a few good years of his adult life, Keegan had been a footballer. He played on a lower division team not being good enough for the big league but he loved the game and it paid, barely, the bills, and that was enough. Then a lousy kick by an opponent ruined his knee and ended his career. After that, it was driving lorries long distance that paid the bills even if it did mean a knee that seemed to always throb. Things did not go well for Keegan. He was never a stupid man but he was not particularly good at anything so doing an occasional job for an old friend who was several shades off from the straight and narrow seemed a way to make ends meet. Then he made the mistake of falling for his friend's girl, she gets pregnant and turns out to be a bad news for both of them, Keegan's old friend becomes a bad enemy and Keegan finds himself heading to prison for a year when caught with a load of illegal goods. It was all very confusing and very soap-operatic except that out of the deal did come Keegan's little daughter, Ruthie, and whatever else bad might go his way, at least she was one shiny mark in an otherwise drab life. Driving truck was boring and painful but Ruthie was worth it. She was even worth having to borrow money to get a new truck to keep earning a living, even though that meant borrowing from his old enemy/friend. That's when a division of British Intelligence came up with a plan to make a huge strike against the IRA and in doing so ensure that the department, marked for elimination, would go on. To pull off their scheme, they needed a patsy, one who could drive a truck and one that no one would care too much when that driver was killed. They contacted a broker into the underworld who looked up an old friend who just happened to have an enemy who drove a truck and who had gotten himself into hock. The plan was simple. The patsy drives the truck. The IRA hijacks the truck and things get interesting thereafter. The patsy would, of course, be killed by the IRA but that was why they chose a nobody. Keegan was a nobody. But he was also nobody should mess with. In debt to a loan shark, Terry Keegan is forced to take a job driving a truck from northern France to a location in England. He does not know that the job is being set up by a British Intelligence division to capture IRA members and Keegan is not expected to survive. 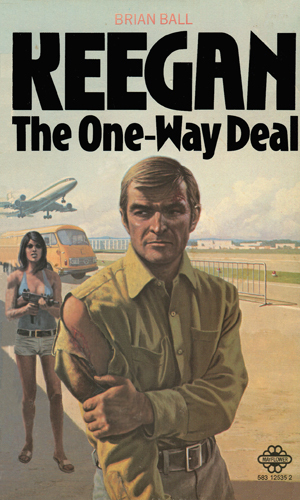 British Intelligence tells Keegan that a simple job to the island of Ibiza is better than rotting in a prison cell for 30 years so he reluctantly accepts. He knows nothing is simple when dealing with the group he now works for. And no one is to be trusted. In the first book, you follow Keegan as he heads further into trouble, riding alongside him as he knows trouble is coming and wants very much to avoid it and knows it cannot be avoided. Then you watch him barely survive and watch him decide to get even, not because he was particularly offended at being made a patsy but because along the way someone hurt his little girl and that was not to be allowed. In the second book, you follow Keegan because he is sent on a simple mission that he knows will not stay simple and because you know that Keegan is a survivor and you want to watch him survive. Then you frown because though these books are quite short and not especially deep except where the thoughts of Keegan are concerned, they are darned addictive and you cannot put them down. And the frown is because after the second book there are no more. And that is worth the frown. Keegan is an agent, at least eventually, but he is also an amateur so you get the enjoyment of watching someone who should not survive do survive but you have to put up with a lot brutal punishment along the way. After a short career in the rough and tumble world of professional football, Keegan is used to pain and getting back up again. I liked Keegan a lot. I wish Mr. Ball had given us more about him.